Run by the team behind the popular Logan Brown restaurant, Grill Meets Beer matches great food with great craft beer in a relaxed, fun environment. Watch the grilled food cooked in the open kitchen, choosing from a tasty burger, steak, ribs or a vegetarian option. A range of sides include fries and fennel and apple slaw and ice cream or gelato finishes the meal off nicely. 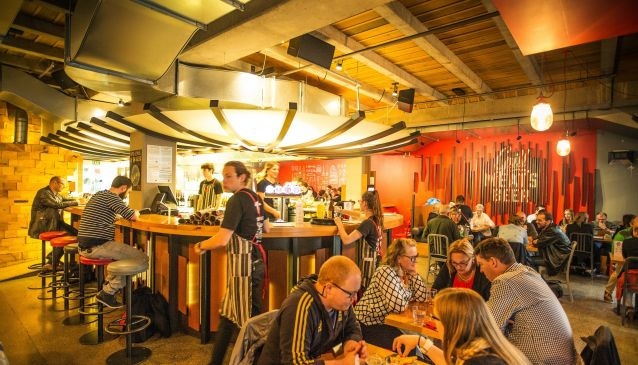 Beer lovers will be in their element with a huge selection of craft beers brewed in Wellington and throughout New Zealand including three regularly changing taps, while non-beer drinkers can choose from the extensive wine list. Takeaway options are available for diners in a hurry.